Often, the feeling created by a home laden with icicles, brings back fond memories of wintertime and the holiday season. In reality those beautiful pillars of ice could be signaling a major problem brewing on top of your home, ice damming. 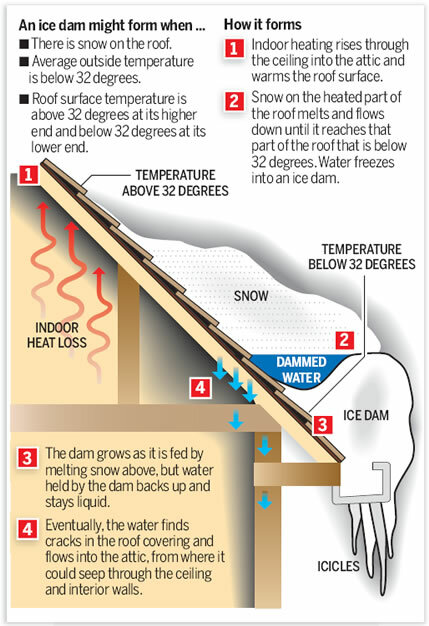 An ice dam is a common home maintenance issue in colder climates, like what we experience at Deep Creek Lake in the winter. 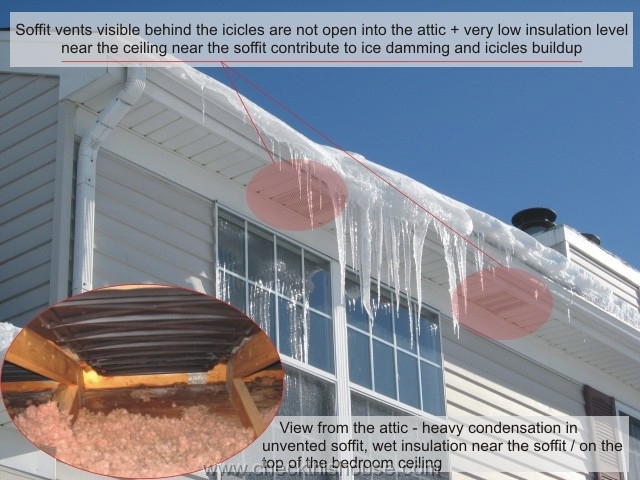 These occur when snow accumulates on the slanted roof of a house with inadequate or failing insulation. As heat rises, it conducts through the inadequate insulation and warm air bypasses through the attic warming the roof. Often snow that has accumulated on the roof above living spaces melts, but the snow on overhangs does not. Melted water flows down the roof, under the cover of the un-melted snow. Eventually this allows ice to accumulate along the eave and in the gutter. As the snow above heated living spaces continues to melt, the water cannot drain properly through the ice created on the eave and in the gutter. This water has nowhere to go and is indiscriminate in its infiltration of the home, often damaging ceilings, walls, floors and the result in an unoccupied vacation home, can be a disaster. To make matters worse, if an untrained person attempts to remove the snow and ice that has resulted in a dam, it can cause further damage to the roof. There are a variety of ways to prevent and manage an ice dam. One is simply getting onto the roof and removing the snow and ice build-up, though as mentioned above, this can cause further damage to the roof. The best way is to increase insulation, sealing and ventilation in the attic space, thus eliminating hot air from warming the roof above living spaces, and allowing heat to escape via ventilation. Another option is to install heat cable in gutters and along the eaves of the roof, melting the ice that accumulates as snow melts and preventing the dam. Over the years tough winters in Garrett County have resulted in various ice dam related problems for our clients. To stay on top of ice damming and prevent it from happening, we have found two products that work very well when installed correctly. 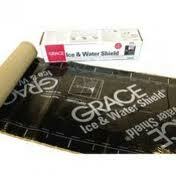 The first is Grace Weather Shield. Grace weather shield is a premiere waterproofing membrane, constructed of two waterproof materials – aggressive asphalt adhesive backing backed by a layer of high density, cross laminated polyurethane. The back of the shield applies to a roof or decking surface and the rubberized surface seals around nails, preventing water infiltration through nail holes from ice damming or wind driven rain. The use of two water proof materials creates a dual barrier blocking water infiltration into the home and functions well underneath asphalt, cedar shakes, tile, slate and metal. 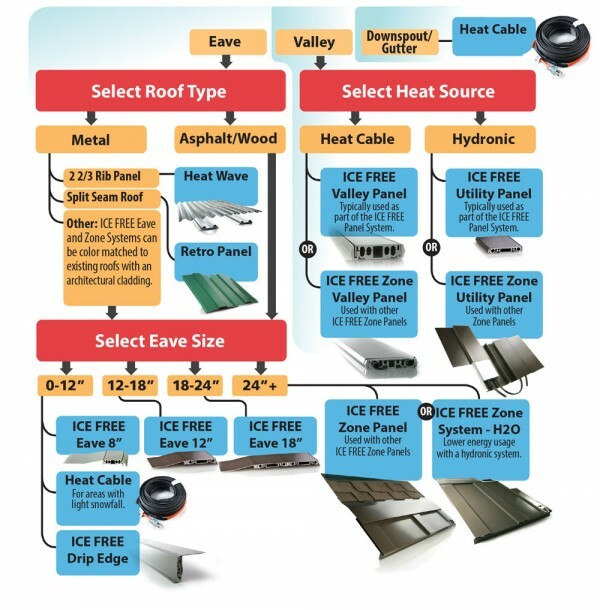 As I mentioned above, heat cable is often used to combat ice damming by melting the ice in gutters and on roof eaves. The problem is, heat cable can be unreliable. Often small animals such as squirrels can chew the cable’s coating, causing it to fail, or heavy snow can push the cable out of place or damage it. Also, many homeowners don’t like the appearance of heat cable installed on their roof. To combat all of these issues at DCL HomeWorks, we utilize a product called Thermal Tech or engineered roof de-icing. They create ice damming solutions that use traditional heating technology encased in a permanent aluminum housing, even creating sloped eave covers that allow water to drain. These are outfitted to match your current roof color and are not only attractive, but act as a permanent fix to ice dam related water leaks. The most efficient home, ever. Decking constructed overlooking Deep Creek Lake. Flagstone fire-pit connected with a flagstone walkway. Flagstone walkway leading to a flagstone fire-pit. Newly constructed decking featuring pressure treated lumber and Trex hand railing. Decking overlooking Deep Creek Lake.